Why am I here? I’m in Berlin because it’s the only city in the world where my mother won’t come to visit me. 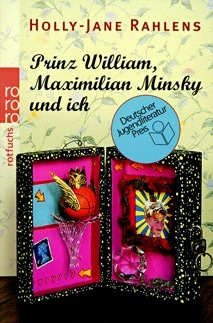 Berlin, 1997: Nelly Sue Edelmeister knows exactly who she is: a skinny, brainy thirteen-year-old Berlin schoolgirl. But that's before she develops a hopeless crush on a certain British royal. And it's definitely before she meets the oddly attractive Maximilian Minsky, her last hope for making the basketball team before it heads off to England and she is virtually thrown into Prince William's arms. Meanwhile, her parents' bickering is stressing her out, as is her bat mitzvah looming ahead. 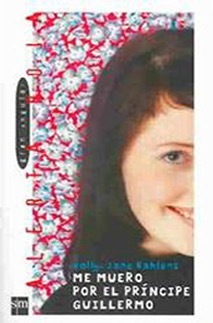 Readers will relate to this funny, heartfelt tale of a determined teen as she makes some surprising discoveries about life, loss, love, and faith. …and discovered Charles Philip Arthur George Mountbatten Windsor, a dashing young royal in an elegant, three-piece herringbone suit. 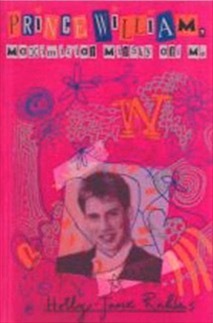 Okay, he was no heartthrob. He had Buddha’s ears, a nose all the way from New York to Missouri, and an altogether crooked and goofy-looking face. But, hey, he was a real live prince. And he even spoke English! I was smitten. I remember wondering what it would be like to marry a prince, a real prince, and if Charles would have to abdicate the throne to marry me, an American, and if he did, would he come and live with me in Queens, New York, or would we settle into a ranch-style house on Long Island? Or could I dare to hope to live in Buckingham Palace? I even decorated our home in my imagination. There would be 14-karat-gold fixtures in the bathroom, we would have a silk chiffon canopy over our bed, a pool and a tennis court in the extensive gardens beyond the palace. 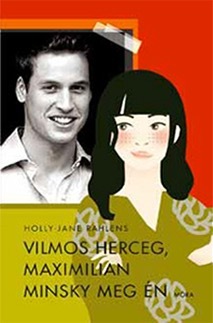 As the story goes, I never married the British crown prince. I ended up in Berlin with an Eberhard in a nice enough apartment with stainless steel fixtures in the bathroom. No pool. Alas. 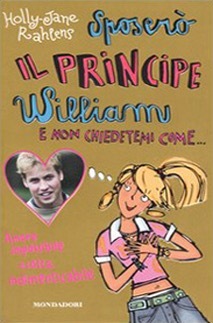 Summer 1997: When Princess Diana was killed in the Parisian car accident and I saw how the media immediately targeted into Prince William — he was fifteen at the time and adorable — well, when I saw how the media had found a new star in William (Harry was still too young for that), when I saw how grown women melted away when they saw William, how teenage girls in England, the US, Canada, and even in Germany, were wild about this handsome young prince who had just lost his mother, when I saw all that, I remembered my own Prince Charles story and my writer’s mind started spinning out a new story. I set my novel in Berlin, the city I knew best aside from my hometown, New York; and I decided to put it into a German-American milieu as it, too, is what I know best. I made my protagonist’s mother a Jewish- American as myself, and though I’m not much of a practicing Jew, I know a bunch of American women in Berlin who are. They became for me Nelly’s mother, Lucy Bloom-Edelmeister. As my story and the characters started coming to life, it struck me that there were few books about Jewish children in today’s Germany. I thought my novel might help bridge that gap. I decided to make Nelly thirteen years old because thirteen is an important year for Jewish children, the year they have their bar and bat mitzvahs, the coming-of-age ceremony that makes them adults in the eyes of the Jewish community. Using Nelly’s bat mitzvah as a vehicle, Jewish culture could be conveyed in a simple and realistic fashion to a young audience that knew little about it. 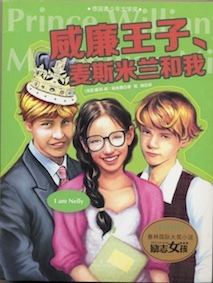 So now I had two themes: Nelly’s infatuation with a prince, and Nelly grappling with her Jewish roots. The flip side to infatuation is “true love” or “true friendship,” so I needed a love interest. 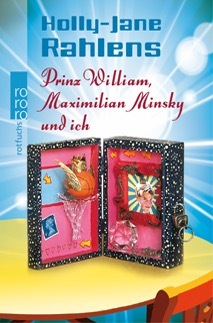 Enter Max Minsky. As in most romantic comedies, I needed to make Nelly and Max very different from one another. So Nelly became this super-intelligent nerd who’s interested in the stars, and Max an intellectually-challenged beast interested in nothing – or at least that is what it seems at first. In the novel Max plays at being a Goth. In the movie this was not used, but as a contrast to Nelly’s fascination with the galaxy, Max is fascinated by Berlin’s world under the ground. As in all “fairy tales” you need a “fairy godmother,” so I created Risa Ginsberg, a wise and reverent Polish Jew who survived the holocaust, and her wacky friends, Frau Goldfarb and Frau Levy. I added Nelly’s philandering, musician father, Benny Edelmeister, and Max’s divorced mother, Melissa Minsky, a woman at the end of her rope. 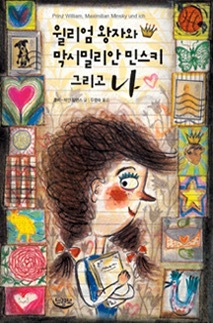 Nelly also needed an antagonist, so Yvonne, fifteen, was created. 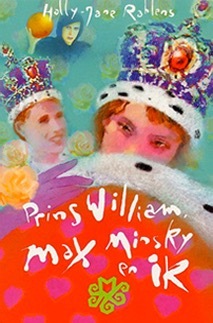 I shook it all together and came up with the novel Prince William, Maximilian Minsky, and Me. 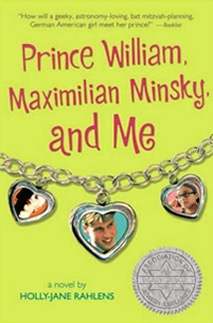 “Prince William, Maximilian Minsky, and Me” is the story of Nelly’s coming-of-age, her search for an identity: how she learns to respect her roots, appreciate her mother, accept the weaknesses of her father, make friends, and open up to the world around her – a world full of paradoxes. It’s a world in which the smartest girl in the class can actually sometimes be the dumbest. An enfant terrible can turn out to be a Prince Charming. It’s a world in which we can put our faith in the laws of science, yet still embrace our religious roots. It’s a world in which a city like Berlin with a dark past can become a haven of light.